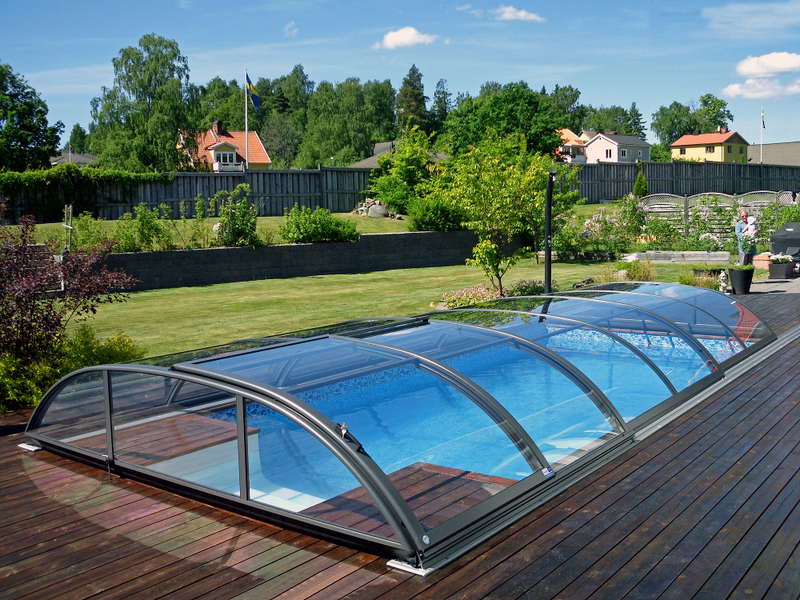 In full agreement with the latest European design, construction and safety trends Alukov brings a new line of retractable pool enclosures for a low price - AZURE enclosure. 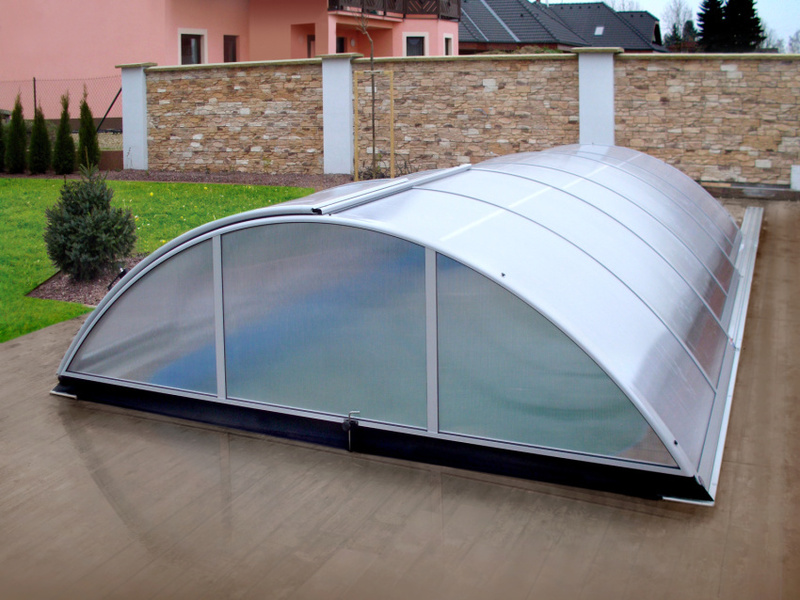 This new profile system is designed to allow for the most latest features such as security locks, modern segment sealing and elegantly caved profiles in the basic offer. 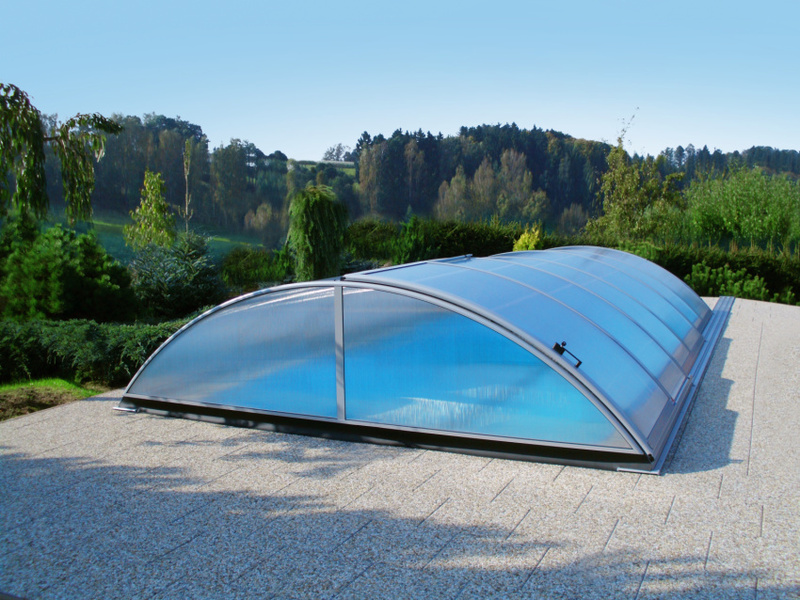 Filling options - unicameral (one chamber) or compact polycarbonate (under name AZURE flat compact). 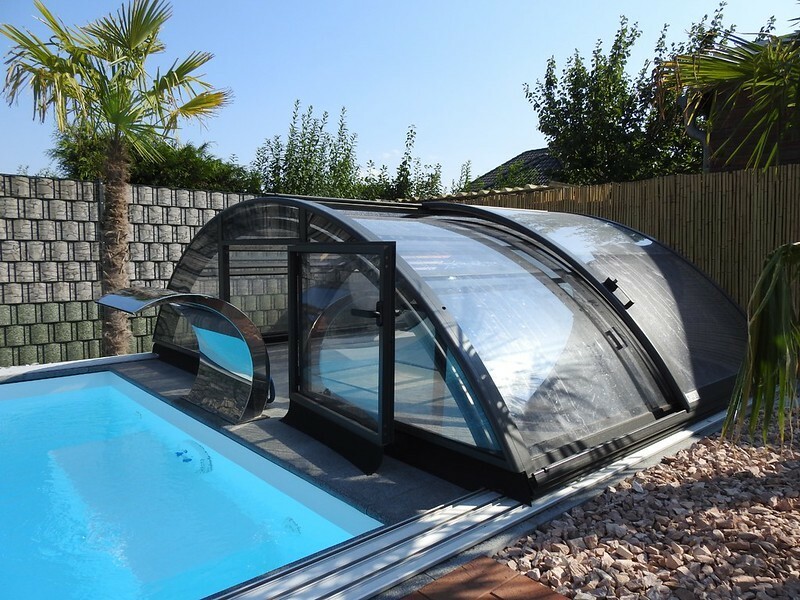 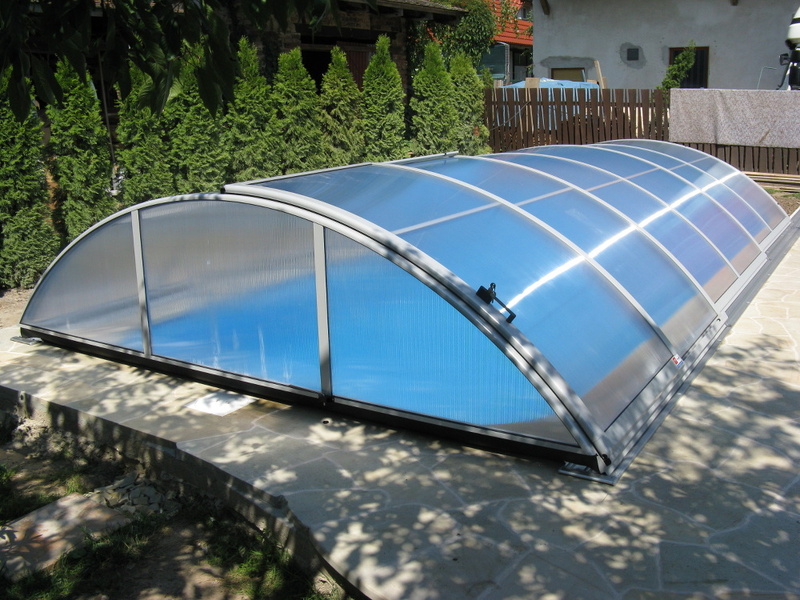 Using one unchanging segment radius creates this ideally high swimming pool enclosure with simple shape and possibility of full usage of the pool in either open and closed state.